Maryland Deathfest have released their day-by-day schedule for its 2013 edition, including set times for each performance and stage. In addition to the new space, Soundstage, the festival will keep its three stages though no word as to where the stages will be located on the “former Sonar” compound. Details on set times are below. 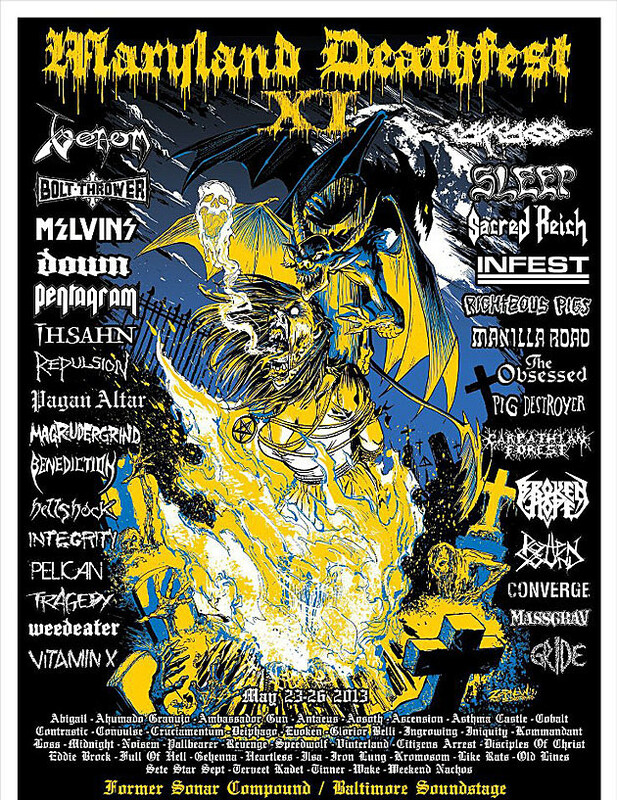 Has Maryland Deathfest Jumped the Shark?